Blair was responding to talk of Human Head’s Prey 2 being essentially a tech demo, one which Bethesda saw as a costly expense and pulled the plug on. This talk was tied into rumours that development of the Prey sequel being passed to Arkane, the makers of Dishonored. I’ve worked at/with @humanheadgames for years, including different stages of Prey 2 development. I was narrative designer/writer on Prey 2 for the last six months of its development at Human Head. It was a lot more than a demo. Prey 2 was a full game. And a crazy fun one. The team was small but you wouldn’t have known it. What happened to Prey 2, from where I sat, was political. And petty. And potentially litigable. Human Head had a great game. I was heartbroken when Prey 2 went into limbo. Human Head deserved to have that game released. Frankly, they needed it. As for Arkane, I’ve enjoyed what I played of Dishonored. They have the chops. If the rumor is true, they’ll likely do well with Prey 2. But I mourn that Prey 2 won’t belong to Human Head. I mourn that my friends won’t get recognition for what they accomplished. 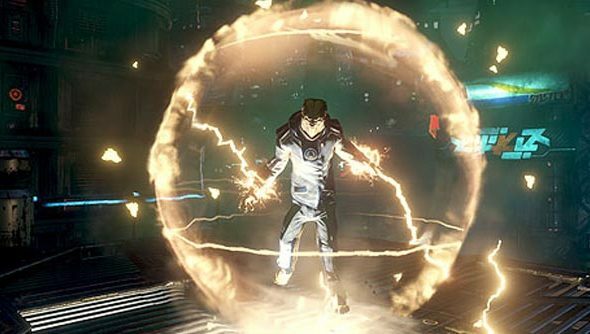 The full story of Prey 2’s development still hasn’t emerged from Human Head. The studio was working on the game full time for more than two years before we began hearing of problems between the developer and the publisher. Apparently, Bethesda were disappointed with the quality of the game Human Head were putting together but Human Head claimed that they’d not worked on the game for number of months following a contract dispute. Eventually Bethesda decided to pull the plug. To be clear, Blair isn’t saying the game was finished but that the scope of the game and what the studio was developing was wider than simply a proof of concept demo to show at conventions. This isn’t a Battlefront 3 situation. We’re currently looking into the rumours of development of Prey 2 moving into the hands of Arkane.